The topic that I want to talk about is one that I have wanted to talk about for some time. It’s about our recently released prisoner of war Bowe Bergdahl. This is a sensitive subject to a lot of individuals, but we do live in a country that gives us the ability to speak our minds, freedom of speech. This is how I feel about this whole thing, keep in mind that I am a spectator so the events I speak about are the ones I read in the news. I’m not sure exactly where he was located in Paktika Province, but I know a little about that area. I was deployed to FOB Boris, formerly known as FOB Bermel, May 2007 – July 2008. Located in Paktika Province, along the border. Along the Pakistan/Afghanistan border, during my tour, every single day, the Taliban shot at least 2-3 107mm rockets at us. It got to the point, we could almost predict when the incoming alarm. What I’m attempting to get you to understand is that the Taliban presence was there. It was hard to try and pick them out because they easily blended in with the locals and also had locals in surrounding villages and in the mountains watching our every move. Now, in Mr. Bergdahl’s case, only he really knows what happened. According to quite a few of his former platoon members, he walked off the FOB/COP under his own will. There was also a story about him being left behind on a patrol, I think that is bogus. Why? Because, if you’re on a dismounted patrol, in my previous units, personnel accountability was #1. There is a video later in this Blog and I challenge you to watch it. 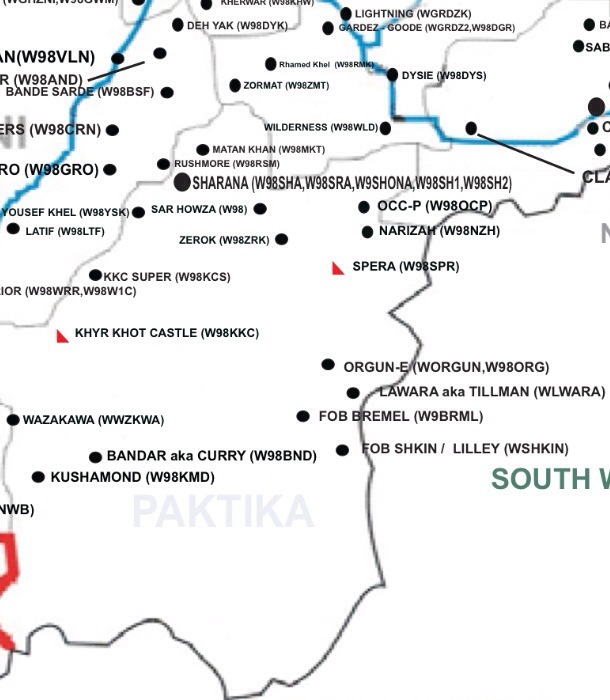 It shows an outpost meant to disrupt the Taliban freedom of movement throughout the area. Also, gives you a point of view of soldiers charged with protecting each other. That’s another reason why I think the patrol story is bogus. I highly doubt he was left on a patrol. Don’t get me wrong, I’m glad that he is back and I wish him well and hope that his integration is a smooth process, but 6 Hero’s lost their lives looking for him. If not for his own sake, but for the sake of the families that lost loved ones, he needs to remember an Army value called Integrity and do what’s right. If he did leave under his own will, I want to know why? After 3 deployments to this country, you couldn’t pay me enough to just walk away. I really hope that there is a thorough investigation done and the truth finally comes out. I’ve read in some articles, some Americans are saying he shouldn’t be punished because 5 years of being a POW is enough. I’m not buying that. 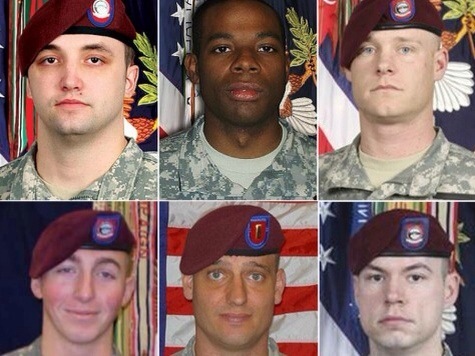 What Americans need to keep at the forefront is that 6 soldiers were KIA (Killed In Action) looking for him. Not WIA (Wounded In Action), but KILLED. As I said before, the only person that controls this situation is him. If the shoe was on the other foot and instead of him, it was me, how would I feel then? If I walked off, fully knowing that I could be killed or captured, then there is no room for me to try to fight for my freedom. No one knows the truth but him. In conclusion, I feel that if it is true that he walked off, he should be punished. I’m not thinking of his captivity, I’m thinking about those 6 soldiers that paid the ultimate sacrifice, looking for him. They paid with their lives, he needs to pay with his freedom. Harsh words, yes, but if it were me, then I’m sure I would be placed on the chopping block. I don’t think I could live with the fact that my comrades, died looking for me. I really hope that’s enough for him to do the right thing. Something to think about. His verdict should be coming sometime soon……..